My “long car journey” reading material usually comes from my bookcase, and, on a recent trip, I brought two books, just to keep me going. One of these, “Baking Recipe Collection” by Sainsbury’s proved to be a little gem, as I found yet another recipe for Marble cake. The book cost £5, and was brilliant value considering the amount of recipes it contains. 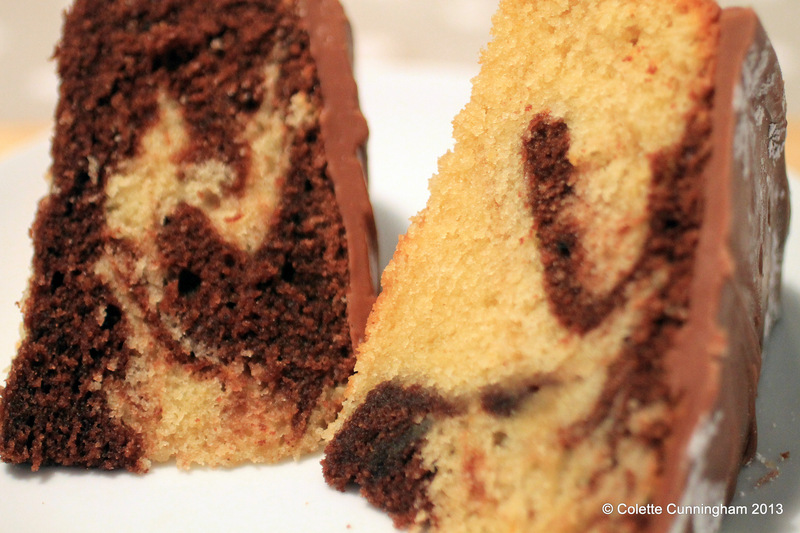 Marble cake was the subject of a discussion recently between a few of us bakers on Twitter. Some had problems with it sinking after baking, others had found the opposite. After seeing the simplicity of the Sainsbury’s recipe, well, I just had to test it out. I added orange zest to the mixture, as I like to flavour sponges wherever possible, and that is the only modification I made to the ingredients list. I also have a slightly different method for mixing, but each to their own. You will need an 8″/20cm cake tin. I used a spring-form tin, and liner. If you don’t have liners, just butter your tin and line with grease-proof paper. Cream the butter and sugar together until light and fluffy. Add the eggs, one at a time along with a dessert spoon of the flour, and beat. Then add the rest of the flour, vanilla, milk and zest and beat until fully combined. Divide the mixture into 2 bowls. Add the 3 tablespoons of cocoa powder to one bowl and give it a thorough mix until all the cocoa has been incorporated. Using a dessert spoon for each bowl, place alternate spoons of mixture into the tin, and using a metal skewer, drag this through the mixture to blend the two sponges. Bake for 30 minutes, after which time, cover with tin foil and bake for a further 10 – 15 minutes until cooked. Place the first 3 ingredients in to a pot, and stirring all the time, bring to the boil. Remove from the heat, break the chocolate in to the liquid and allow to melt. Stir through well, and, once the cake has cooled, and spread it over the top. The trouble with Marble Cake is you just never know which piece you will get! That just sounds heavenly , will give it a try tomorrow . I have the small oranges for the littlest farmer how many do you think of them I should use ? Do please, would love to know what they all think. Just keep checking with a skewer, after cooking time is up, and adjust according to your own oven, i.e. another 5 minutes etc. If that cake tastes as good as it looks it has to be fantastic. Chocolate and orange what a classic combination of flavors. Are you sure you don't deliver? Thanks so much Greg, for your comment. I would deliver, no problem 😉 It's really simple to do, and tastes great! Thanks a mil, Breige. It tastes good too and easy enough to make. Oh that looks yummy ! Wowed! I'm surely gonna try this! Thank you, it's quite an easy one, and tastes great. 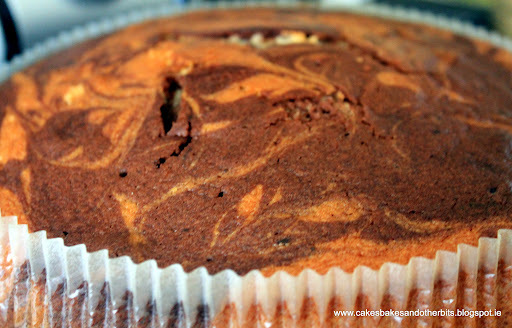 Amanda has emailed and commented as follows:-"I love orange and chocolate marble cakes, and haven't been able to make one in months, because I lost my recipe. Was so pleased to see this. Tasted amazing, thanks so much"
Thanks Amanda, really glad you liked it. Do you think the cake would cook as well with double the mixture and cooked in a pudding bowl? I’m making a shaped birthday cake! Hi Lis, it might work, but having said that, I’ve never tried it in a pudding bowl! You would have to adjust the cooking times. My suggestion for a birthday cake is make a layer cake, i.e. make two of the marble cakes, cut each in half (4 layers). That would definitely work. Let me know how you get on. 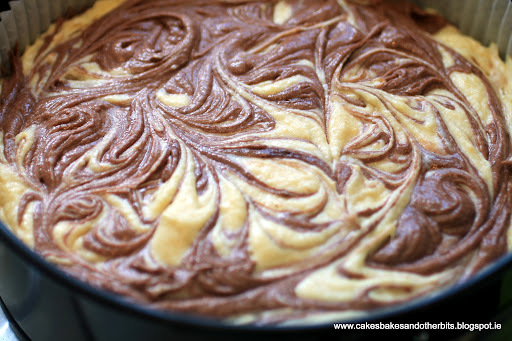 This is now my go-to recipe for marble cake – I use buttermilk instead of milk though and only add the orange zest to the non-chocolate mixture for extra contrast. Seems to take closer to an hour and a quarter to an hour and a half to cook though…may be my oven. Anyway thanks for sharing the recipe as I couldn’t find on the Sainsbury’s website. Thank you for your comment, Moira. It’s always good to tweak a recipe to suit your own tastes. My oven is a bit off too, and I have to test and keep adding minutes to the cooking time. Glad you are enjoyed the recipe.